On Government Handouts: Sports Stadiums or Schools? By Guest Poster May 31, 2017 Comments Off on On Government Handouts: Sports Stadiums or Schools? Las Vegas Stadium – Future home of the Las Vegas Raiders. Photo: Wikipedia. 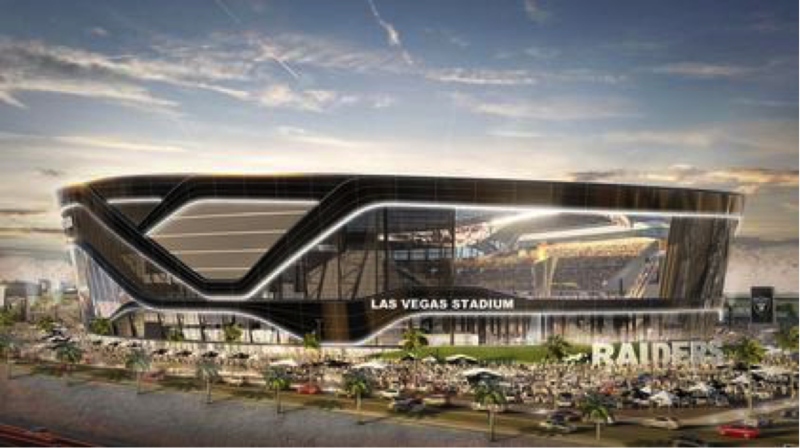 This March, the Oakland Raiders of the National Football League (NFL) finalized a deal to move the franchise to Las Vegas, ending a multi-year drama about the future home of the football team. The team’s principal owner, Mark Davis, chose to leave Oakland (for the second time in twenty-two years) after the city refused to capitulate to his demand for a massive government handout to subsidize the cost of a new stadium in “The Town.” Las Vegas, on the other hand, was happy to oblige. The state of Nevada will provide $750 million of the estimated $1.9 billion price tag for a new stadium. This, keep in mind, for a sports franchise worth over $2 billion. Stanford economist Roger Noll characterized the agreement as “the worst stadium deal in the world.” Nevada takes that title away from Georgia. 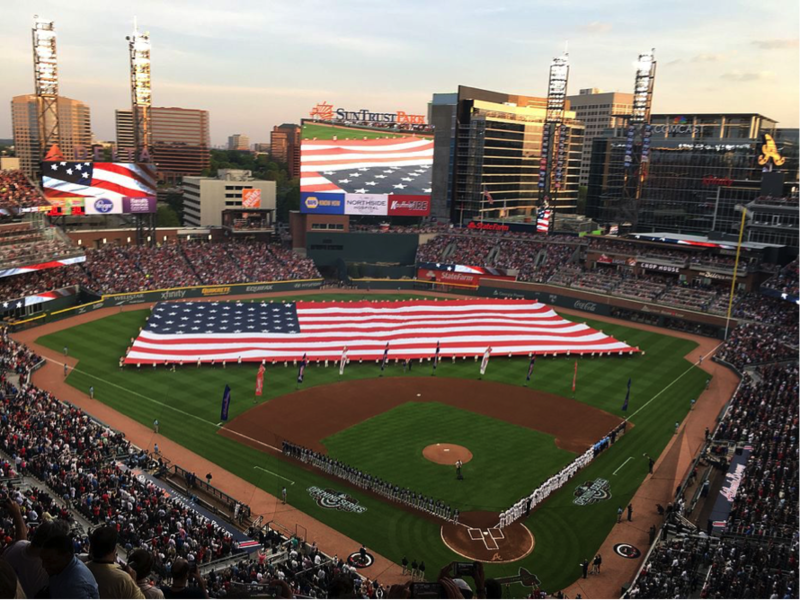 On April 14 of this year, the Atlanta Braves of Major League Baseball (MLB) opened their new stadium—SunTrust Field. The state of Georgia footed over $400 million of the $622 million total bill for the new ballpark. That arrangement prompted a journalist last march to make a similar assessment to that of Noll. More disturbing than the vast sums of government handouts to billion-dollar sports franchises owned by multi-millionaires and billionaires is that Georgia has, since 2008, cut education spending. In fact, since 2008 six states—Florida, Michigan, New York, Texas, Wisconsin, and Georgia—have allocated more than $4 billion combined in taxpayer revenue to build stadiums for privately owned professional sports teams while also reducing education spending. Nevada technically raised its total education expenditures between 2008–2016 by a whopping 1.3%. However, if we consider the population growth of the state during those years, and instead look at per-pupil spending, the marginal increase in education spending amounts, in actuality, to a significant reduction. Opening Day, SunTrust Field, Cobb County, Georgia. 2017. Photo: Wikipedia. These cuts are part of a larger austerity trend in education policy characterized by draconian budget cuts that in recent years have brought our public education system to its knees. These cuts, moreover, disproportionately impact low-income communities of color. Students of color now comprise a majority of K-12 public school students. Moreover, a recent poll found that a majority of African American and Latino parents identified “a lack of equitable funding” and racism “as the two biggest contributors to racial disparities in public schools.” There’s overwhelming evidence to support the attitudes of these parents. A 2012 study on K-12 per-pupil spending by race found that “Students of color are being shortchanged across the country when compared to their white peers.” At the college level, black and Latino students incur significantly more debt than their white counterparts in their pursuit of a college degree. I could go on, but the larger point is that public education is in crisis for all students but disproportionately more so for low-income students of color. Those who defend giving public dollars to privately owned businesses for stadiums insist that once completed the facilities bring economic benefits to a city that far exceed the public investment. However, study after study after study has found that this is simply not the case. There is very little evidence that new stadiums equate to increased jobs and revenue in a city. Virtually every analysis of the long-term economic effects of stadiums finds no evidence that cities receive anywhere near attractive returns on their investments. In fact, cities lose money on these investments. Most recently, a study done by the Federal Reserve Bank of St. Louis found that “86 percent of economists agreed that ‘local and state governments in the U.S. should eliminate subsidies to professional sports franchises.’” Quite simply, under no circumstances should state and local governments subsidize privately owned professional sports stadiums with taxpayer dollars. Sports stadiums are, in other words, bad investments—unlike education. With that in mind, the willingness of states like Nevada and Georgia to hand out billions of public dollars for privately owned sports stadiums while at the same time divesting from public education raises larger ethical questions about tax expenditures. If, for the sake of simplicity, one focuses on higher education, the cases of Nevada and Georgia are particularly illuminating. According to the Center on Budget and Policy Priorities, the state of Georgia cut total state funding, inflation-adjusted, per student by 16.5% between 2008 and 2016, fourth most in the country. This includes a 20% cut in per-pupil funding in the state’s public colleges and universities ($2151 per college student), which has led to a nearly 77% increase, almost $3700 per year, in tuition. During the same period, Nevada cut total state funding per student by 28%. This amounts to $3147 less per student in state support, which has resulted in a more than 47% increase—$2154 per year—in tuition. What if rather than hand multi-millionaire Mark Davis $750 million of Nevada taxpayer’s money, the state instead put those funds toward subsidizing the tuition costs of students enrolled in Nevada’s four-year public colleges and universities? Based on Nevada’s Full-Time Equivalent (FTE) enrollment, the $750 million amounts to $11,206 per student. That means the state could cover the full tuition for each of the roughly 67,000 students enrolled in the state’s six four-year public colleges and universities for the next 1.68 years. Beyond the unsound economics of this issue are the racialized implications of the social costs of the indirect relationship between public stadium financing and school spending. Given that low-income communities of color bear a disproportionate share of the educational austerity burden, placing public expenditures on sports stadiums alongside education budgets highlights that our education crisis is as much about state priorities and values as it is about the amount of money in public coffers. The willingness to divest from public education, overlook the vast racial inequities in our public education system, and give billions of dollars to billionaires is yet another example of how fiscal policy too often serves as a see-saw that impoverishes low-income communities of color while further enriching the wealthy. Publicly financed stadiums are also yet another reminder that although popular discourse characterizes the poor, and poor African Americans in particular, as the demographic most dependent on government subsidies, it is and has always been rich white men who receive the largest government handouts and benefit most from public subsidy. Justin Gomer is an Assistant Professor of American Studies at California State University, Long Beach. He holds a Ph.D. in African Diaspora Studies from the University of California, Berkeley. He is currently writing a book entitled, Colorblindness, A Life: The Political and Cultural Biography of an Ideology,” which offers an interdisciplinary biography of the racial ideology of colorblindness. Follow him on Twitter @ProfessorGomer. Jackson Hille is an education policy researcher. He graduated from the University of California, Berkeley with highest honors in 2014 with a major in American Studies and a minor in Public Policy. He is the recipient of the 2013-14 Departmental Citation in American Studies.